Dr. John Stanfill graduated from the Saint Louis University School of Medicine. He did his internship at the East Tennessee State University and completed his residency program at the Baptist Memorial Hospital. He is specialized in Radiology and board certified in Diagnostic Radiology. 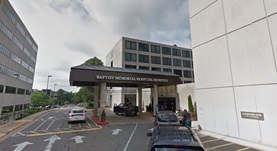 Dr. Stanfill has been in practice for more than 6 years and is affiliated with the Baptist Memorial Hospital, Memphis. During his career, he has also contributed to a clinical research publication. Dr. John Stanfill has contributed to 1 publications. Relative efficacy of intrinsic and extant parameters for modeling biodegradation of synthetic organic compounds in activated sludge: dynamic systems. Magbanua, B. S., Stanfill, J. C., Fehniger, S. M., Smets, B. F., Farkas, F., Grady, C. P.; Water Environ Res. 2004 May 01.